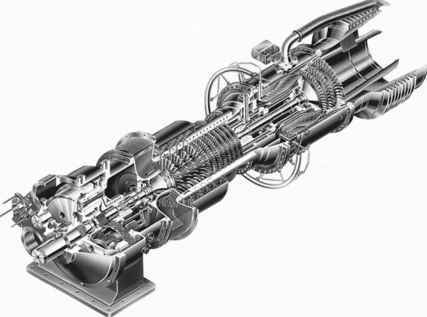 The key to gas turbine operation is efficiency; efficiency both of the compressor and of the turbine. 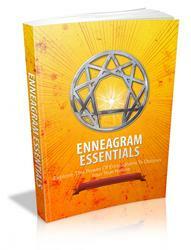 Each must be adequately efficient to overcome the natural barrier to sustained operation. Beyond that, the more efficiency the machinery, the more effective it becomes. High efficiency of operation is also one of the key factors in the popularity of modern gas turbines for power generation. The more efficient a gas turbine, the more electricity it can produce from a given quantity of fuel. But efficiency is also important from an environmental perspective too. The higher the efficiency of a fossil-fuelled power plant, the smaller the quantities of atmospheric pollutants it produces for each unit of electricity. In this regard, gas turbines score highly. Efficiency is equally important in the aero industry. But turbines developed for the aviation applications must also be light and extremely reliable. For power generation weight is not a significant factor but cost is. As a result the development paths for the two types of turbine have diverged. As already outlined, the first designs for gas turbines utilised separate compressors and turbines. Stolze's design simplified this by putting the compressor and turbine on a single shaft so that the power generated by the turbine would drive the compressor as well as producing mechanical output. 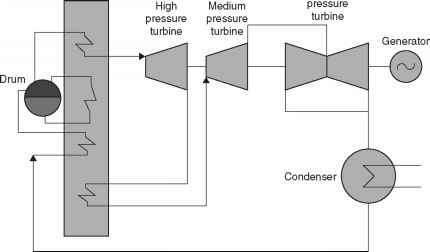 Modern gas turbines for power generation applications generally utilise axial compressors with several stages of blades (like a series of windmills, but working in reverse) to compress air drawn in from the atmosphere to perhaps 15-19 times atmospheric pressure. These compressors have efficiencies of around 87%. A modern unit might have 10-12 sets of compressor blades (stages). High-pressure air from the compressor then enters a combustion chamber where it is mixed with fuel and ignited, increasing the temperature of the air to as much as 1400°C, or higher in some of the latest machines to appear. The gas turbine combustion chamber is specially designed to produce the minimum quantity of NO*. This NO* is produced at high temperature by a reaction between oxygen and nitrogen in air, but this can be controlled by controlling the combustion process so that all the oxygen is used during combustion, leaving none to react with nitrogen. Combustion chambers come in a variety of designs and dispositions. In some gas turbines they are kept separate from the turbine body. Others designs position them within the body, between compressor and turbine stages, while in others there are multiple combustion chambers arranged annularly around the body of the turbine. operating with an efficiency of around 89%. Some designs have both compressor and turbine blades mounted rigidly onto the same shaft. In others there are two concentric shafts, one carrying the compressor blades and the first one or two turbine stages. These turbine stages power the compressor while the latter stages, on a second shaft, are attached to a generator and produce power. Small gas turbines, with outputs of 35-45 MW, can achieve energy conversion efficiencies of up to 38% in power generation applications. Larger gas turbines usually for base-load combined cycle power plants, have traditionally shown slightly lower efficiencies but new, optimised designs have pushed efficiencies as high as 38.7% for modern large turbine designs.6 These units can have outputs of 265 MW. Since the maximum efficiency of a gas turbine depends on the temperature of the compressed air as it enters the turbine from the combustion chamber, much modern development has focussed on new and better materials that can withstand higher and higher temperatures. This has included such sophisticated materials as single crystals for first stage turbine blades. Ceramics are also being used as an alternative to metal. Other factors can affect turbine performance. Intake air must be carefully filtered to prevent the entry of particles which could damage blades at the high velocities which are reached inside compressor and turbine. Injecting water into the compressor with air can improve efficiency. And with the latest high-temperature turbines, some form of blade cooling is often required. Thus gas turbines are perhaps the most sophisticated machines in regular use within the power generation industry and require very specialised design and manufacturing facilities.